So, Superman has been doing some walking in rehab with the help of a lift. He also has the ball in the picture that motivates him to move. On Friday he did a lot of walking with mine and his PT assistant. I am proud of the progress he making. Author 14dfkPosted on January 14, 2019 January 14, 2019 Categories # Ellen DeGeneres, AACPS, Bus aids, Dukin Donuts, Ellen, epilepsy, exercise, Family, heroes, John Hopkins, Life, Medical Marijuana, people, Religion, seizures, Special Needs, Superman, Surgery, Uncategorized, VNSTags # Dr Oz, # Ellen DeGeneres, absence seizures, abysmal, accident, aces, acid, allergic reaction, amazing, anesthesiologist, Angel, animal, antibiotic, autism, Baltimore, battle, beautiful, bed, behavior, birthday, bottle, boy, brain, bruises, bullet, CBD OIL, ceremony, Charlotte's Web, chromosome, computer, cry, crying, dark, Darkness, defender, defenseless, despair, Diapers, dream, drugsLeave a comment on Superman update! Between the seizures and the meds that Dylan was on, he had regressed; mentally he was possibly 6 to perhaps 9 months in his mind. He no longer talked he would just lay around. We tried to get him up and around, but his muscles would no longer allow him to move fluidly. We were going to try a new medication trileptal. It was very promising. Right away he began to have an allergic reaction to this drug and broke out in hives. We stopped giving it to him right away and called his neurologist. He called us back and told us to continue giving it to him for the next couple of days, but we didn’t. We made another appointment with the neurologist and while we were in his office he began to argue with another neurologist that he shared an office with. It was very unprofessional and the office was full of patients. After he called us in the back to see him, he asked what we were seeing him for. Everything that we told him previously he seemed to have forgotten. We had to explain things all over again to him. He asked us are we still giving Dylan the trileptal and we told him no we stopped a few days ago! He looked at us like there was something wrong with us. I became angry and told him that I wasn’t going to keep giving Dylan the medicine after he was clearly having an allergic reaction to it. We promptly walked out of the office. When we got home I began to search for a new Neurologist. We found one who worked out of Kennedy Krieger Institute and was a neurologist at John Hopkins University also. Dr. James Rubenstein. This guy was wonderful! He was very caring. He listened to all of our concerns. This wonderful doctor had an amazing bed-side manner reminiscent of the old time country doctors. You could see the empathy he felt towards Dylan. He didn’t look at Dylan as just another patient, one more number. No this gentleman was the real deal and he was very caring. He also answered every question or concern that we had. He took extensive notes and would ask us questions too. The other neurologist was like Dr. Jekyll and Mr. Hide. I will just refer him to that name, because, I don’t want a law suit against me for deformation of character, but this other Dr. was completely terrible when it came to Dylan. We had a wonderful first meeting with Dr. Rubenstein and He said that we will continue Dylan on the Keppra and slowly wean him off the Clonazepam, because we were sure that this was making him very lethargic. We went home thinking that we have finally found the right neurologist for Dylan and we were absolutely right. Dylan didn’t make too much progress as we slowly weaned him off the Clonazepam. He still was very lethargic, but the seizures seemed to only worsen. 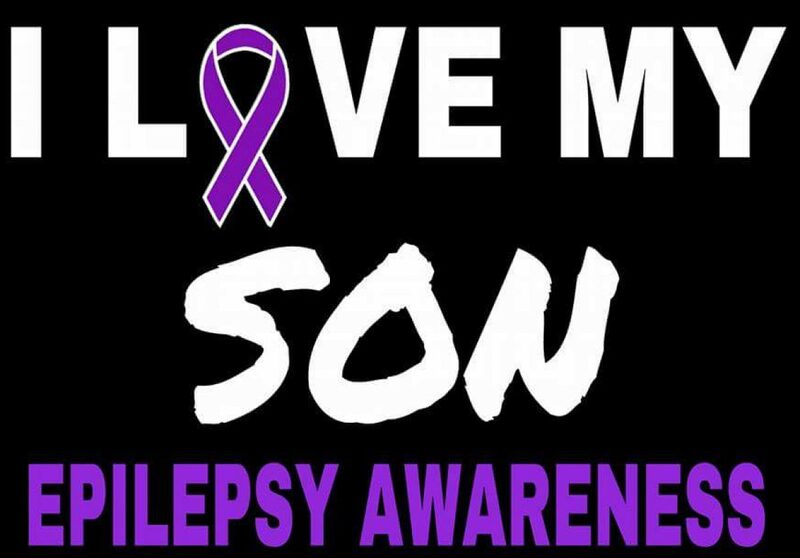 He was having seizures where he would go into full grand mal seizures and when he came out of them he could no longer walk, or stand. His whole right side was like he was paralyzed. These seizures really frightened us and we noted each and every one that he had. He had also had some that were so severe that we had to give him Diazepam anally to force them to stop. Then he was rushed to the hospital several times to be checked out only to have him released in a few hours. This was very emotionally draining on us. It was around then I was researching seizures when I first heard the term intractable epilepsy, which meant epilepsy resistant to all drugs. As I was reading about this I also found an article on SUDEP, which is an acronym for Sudden Death in Epilepsy patients. This scared me half to death and I filed it away, I hadn’t wanted to share it with Terri, because, it would only make her cry. Then Unique which was the rare chromosome disorder support group started running an article on children with Idic 15 dying un-expectantly in their sleep. This brought tears to my eyes. I read about a little ten-year old boy who had went to sleep only to never awake the next morning. I didn’t want to tell Terri any of that, but little did I know, she had already read the article. Dylan would never again sleep in his own bed for fear he would have a seizure and we would not hear him. He has been sleeping in our bed ever since.